Planting a food plot is the ideal way to lure deer to your hunting lease. You’ll also be providing deer with supplemental food throughout the year, which will keep them feeding and breeding in your area. 1. 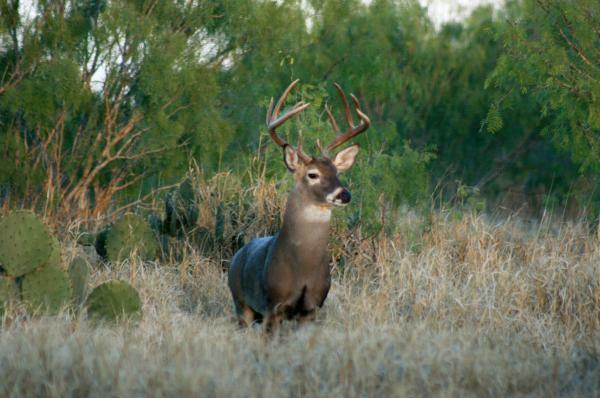 Pick a location that you know deer already inhabit. It should have fertile soil that gets at least a few hours of sunlight during the day. You’ll want a manageable area around ½ acre in size. 2. Clean out bushes, shrubs or any dead plants in the area. Then test the soil with a DIY kit or a local agricultural department. Based on the test, you should fertilize the soil so that growing conditions are good. 3. Loosen the soil and plant your plot with seed formula. Use the recommended planting per rate on the label of the product you are using. Keep them well watered until crops are established. 4. If possible, fence in the area while allowing the seed to get started so that other wildlife doesn’t get into the area as it begins to grow. Stop by Mansfield Feed Mill to get everything you need to plant your food plot. We carry MBS Wildlife Mixes. These blends are chosen based on their performance and preference by deer in Texas. For more on planting deer plots, click to view video. This entry was posted on Sunday, August 5th, 2018 at 9:11 am	and is filed under Articles, News & Updates, Wildlife, Deer. You can follow any responses to this entry through the RSS 2.0 feed. Both comments and pings are currently closed.